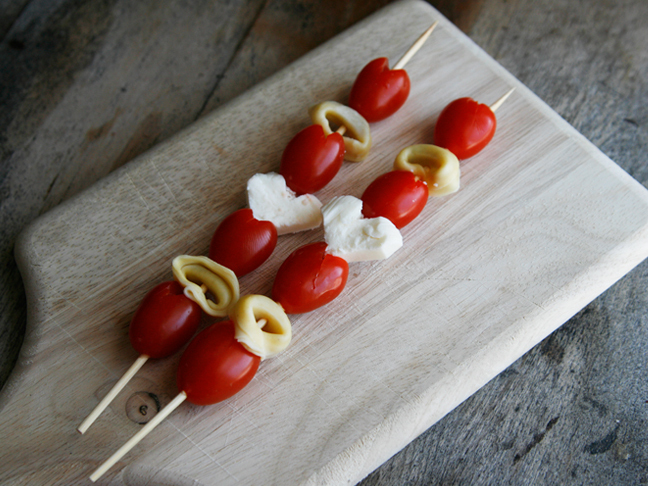 Show your little loves how much you care by tucking these sweet happy heart kabobs into their lunchboxes this Valentine's Day. 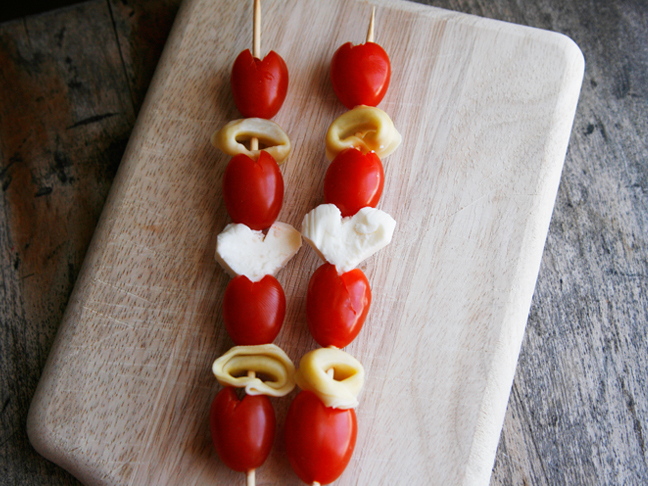 This heart kabobs recipe is quick, easy, and totally fun. 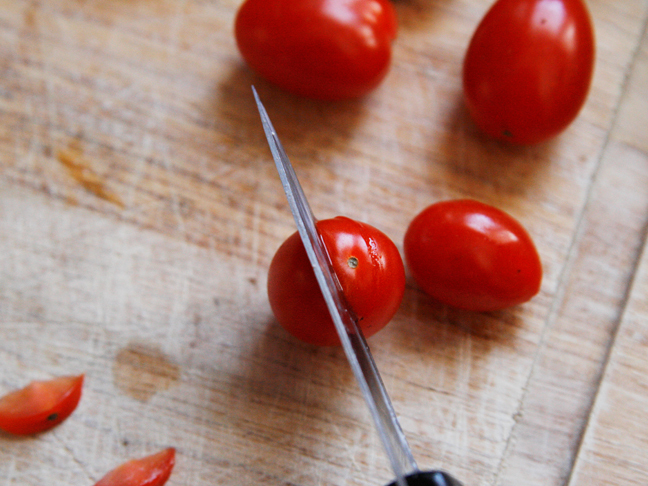 Step 1: Cut a small V into the top of each tomato. The tomato should look like an imperfect heart. Continue until all the tomatoes have been cut. 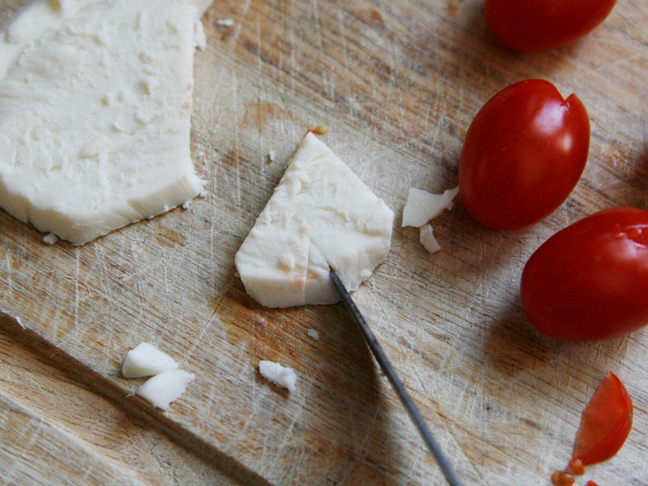 Step 2: Using a small heart-shaped cookie cutter or a knife, cut heart shapes from the mozzarella. Step 3: Prepare the kabobs. Thread one tomato, one tortellini, one tomato, one cheese heart, one tomato, one tortellini, and one tomato onto each of 8 skewers. Enjoy!